If I were planning trip back to Lake Baikal, I would head straight back to Ulan Ude, rather than Irkutsk. The city had wider streets, cleaner air, a happier population, and we had a far better experience with hostels. 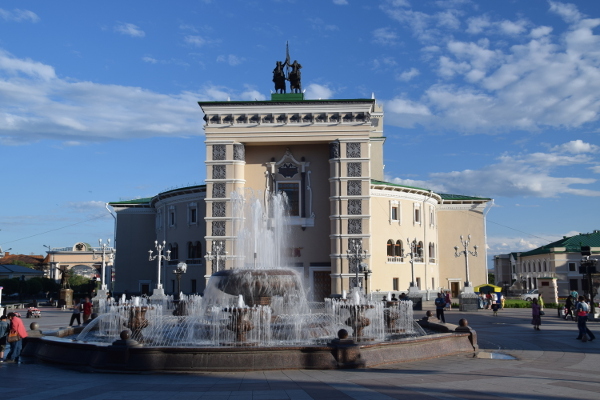 One day in Irkutsk was pretty much the limit of our fascination with this city, and we think that if anything, it’s more suited for an evening layover rather than a longer stay. 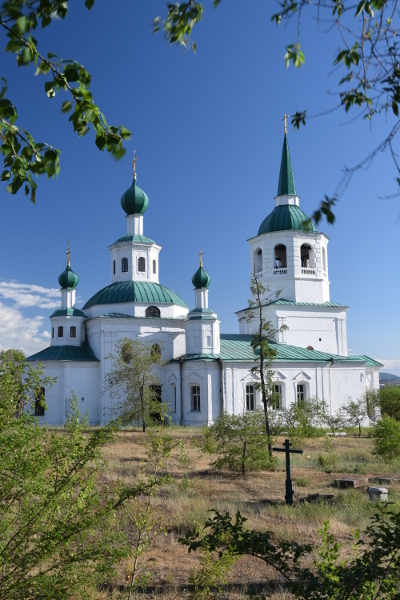 It is the ideal starting point to get to Lake Baikal, to Olkhon, Listvyanka and several sections of the Great Baikal Trail, but as a city itself it holds little charm. This feeling was emphasized by our experiences with the hostels. Our original hostel was lovely, but entirely Russian, leading to some conversation issues, the second mis-booked us twice, and the final one was like staying in someone’s spare room. We shared the space with the cat and the grandmother, and that was all. I felt like an intruder. 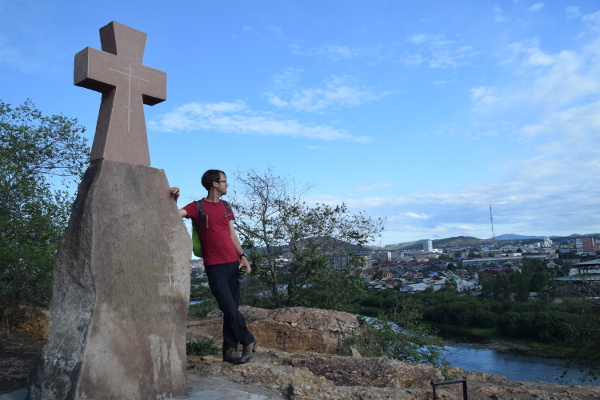 Ulan Ude is far more composed, picturesque, and welcoming. It is also an ideal starting point for Baikal; although the more adventurous western coast. In our hostel we looked at and fantasised about the walks drawn on the map, around coves, through old villages, up mountains. The landscape looked far more challenging, and endlessly beautiful. The city itself was also more appealing. Like in Irkutsk, Ulan Ude welcomes you with a ‘green line’, although this doesn’t exist on the pavement, only on the map. The walk takes you through the town centre, past the opera houses and theatres, to the highest point in the city, and past several parks and churches. These are a mixture of different styles. We also added a walk along the river, a stroll through the ‘Park of Culture’ and the Victory park. Here we met Pavel, a very enthusiastic graduate from a local university, who spoke practically no English, but spent all of his energy trying to tell us about where to go in his city to take good photographs. He was an engineer, and dreamt of moving to Europe, but so far the closest he was getting was a move to Novosibirsk to join an international company. ‘Maybe they will help me travel’ he said, although you could tell that he doubted it as he said it, the economic problems were too big. The air quality in Ulan Ude was better, and you had a view straight out into the hillside, where more and more people are building their own houses as the city grows. In the heart of the city you have the old builds, near the railway station you find refurbished soviet builds and new supermarkets that stock a surprisingly wide array of food. We even found cheddar from England, and were very tempted even though 200 grams cost around five British Pounds. On the main square a massive Lenin head watches kids play and teenagers drink, and the road leads through a victory arch to a covered market. The city is simply welcoming. It is not home to endless tourist attractions, but its natural beauty and warm atmosphere made it a welcome break for us and a great last stop in Russia before heading to Mongolia.